I shouldn’t need a quote from some show to motivate me to tell stories about my awesome dad, but it sure did the job. I’ll start with one of his last, since it is still so fresh on my mind. 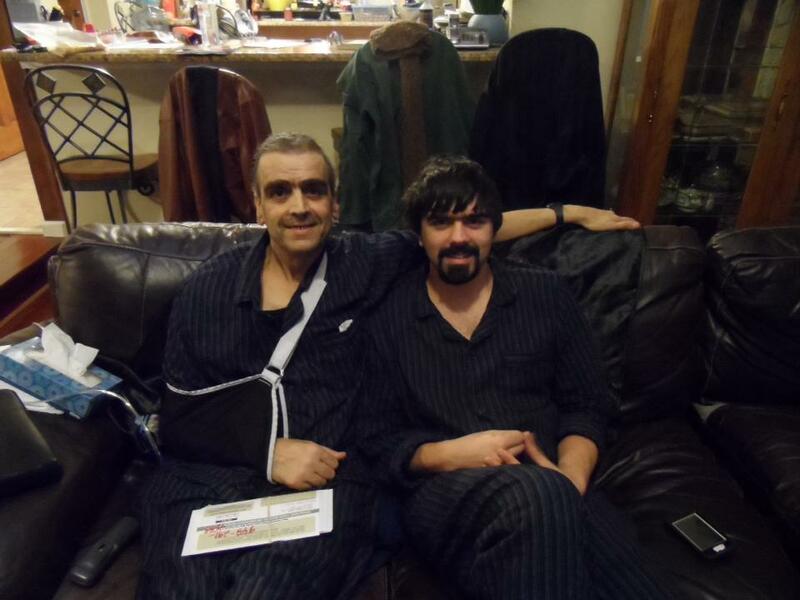 During the final days of my father’s fight against soft-tissue sarcoma, I got to spend a whole lot of time with him. He was transferred to our home for hospice care after the doctors and nurses did everything they knew to do. He knew in his heart what the outcome was going to be. We all did. I’ll never forget the night he came home. It was really late. He did not want to fall asleep, I assume out of fear that he wouldn’t wake up. He wanted to make it at least until the next day when everyone was awake and could be with him. He was dependent on an oxygen tank and had to be continuously monitored and cared for, so someone had to be up with him through the night. Though it was a scary handful of hours, I am so grateful that someone was me. At one point, he could tell his oxygen level was falling. He kept asking me if his lips were red or blue, and what the computer said his levels were. When they kept dropping, I got up to get the hospice nurse, and he stopped me. He said: “Please don’t leave me. I need you to help me. Please hold me.” And all he did was reach out his hand. He didn’t care that I wasn’t a nurse or a doctor, and I didn’t know what to do. He knew I couldn’t help his physical state. He knew I couldn’t heal him. He didn’t ask me to adjust the machine to give him more oxygen. He knew I couldn’t do anything except hold his hand through his fight. But that was all he needed from me to feel at peace with his situation: to be held by someone who loved him very much. He made it through that episode and through the night. He died the next day, with a smile on his face, literally surrounded by his loved ones. The question that eventually brought me to was this: What if my faith looked like that? What if when faced with even the greatest of darkness and trials, I could be okay with just knowing that God is holding me through my fight? What if my comfort was found in his holding me instead of in my hoping that a miracle will come my way? What if I stopped wanting so badly for God to change my situations, and instead could feel the peace of knowing that even when I don’t understand, all things are working together for my good? That would be some amazing peace, for sure. I regretfully say that experiencing my father’s death didn’t immediately (or even soon after) bring me to that point in my faith. I really can’t confidently say that I have arrived there yet. I still have questions. I still have unsettled emotions and doubt. I know, though, that the good news is that I don’t have to understand why things are the way they are. I can come to God with the tough questions, angry and all. He’s a big God. I am learning to pray not for things to go my way or change per se, but for God’s will to be done, and for his peace that transcends my understanding to rest in my heart as he holds me through my storm. Dad and I, during chemo. With matching pj’s, of course. Awesome testimony Zack. God bless you brother.